In the current State of OMW, it’ll be much more convenient to update via our Twitter feed, which is also seen to the left of this report. MANGINO TO KDKA: Clear Channel talk WKBN/570 Youngstown morning drive host Robert Mangino is heading down the Ohio and Pennsylvania Turnpikes. He’ll take the open 6-10 PM talk slot at CBS Radio news/talk KDKA/1020 Pittsburgh. The Youngstown Business Journal has more. That evening time slot used to be occupied by KDKA’s Mike Pintek (“Pintek Tonight”), but Pintek was recently named the station’s 12 noon-3 PM host. That midday time slot became vacant in the worst possible way, as veteran host Fred Honsburger passed away. Mangino started in talk radio as host at what used to be a Clear Channel sister station to WKBN – now-Forever talk WKST in New Castle PA, not that terribly far from Pittsburgh. BACK TO NE OHIO: Word came rather quickly that NextMedia hot AC WHBC-FM 94.1 Canton “Mix 94.1” program director and afternoon host Jerry Mac was no longer in that position, but word came even faster about his replacement. And what do you know…it’s someone who can find the Pro Football Hall of Fame without help. “Mix’s” new PD is inbound from Saginaw MI’s WGER (a NextMedia sister to WHBC-FM), but he’s familiar to Northeast Ohio radio listeners and readers of the Mighty Blog of Fun(tm) – former CBS Radio hot AC WQAL/104.1 Cleveland “Q104” assistant program director/PM driver Brian “Fig” Figula will start on-air in Canton on Monday. A SHANLEY PASSES: The last name “Shanley” is certainly known in Northeast Ohio…the late Gib Shanley was a local sportscaster – at Scripps ABC affiliate WEWS/5 and the long-time radio voice of the Cleveland Browns. Shanley’s son Greg later built quite a career for himself, as a news director and talk show host for Iowa’ Public Radio. Greg Shanley died Tuesday night. Pat Blank, his longtime station co-worker, said the on-air host and producer once told her he had thought about doing sports broadcasting like his father, Gib, the voice of the National Football League’s Cleveland Browns for 24 years. But Shanley told Blank he got bored waiting for something exciting to happen and realized his passion was in news. Host Greg Shanley brings a range of experts to the microphone to discuss the the things that make Iowa unique, offer practical advice on home improvement or insightful analysis of politics. Over the 23 years we’ve known Greg, we’ve admired his curiosity about the world, as well as his ability to speak knowledgeably about anything from politics to horticulture. We’ll all miss his engaging conversation, his love of Iowa, and his award-winning Double Burgers. REALITY EXPERIMENT: Not on our Twitter list, and really, only worth a small mention. Clear Channel rock/talk WMMS/100.7 Cleveland has added a new cast member to its afternoon drive “Alan Cox Show”. It’s not like we have anything against 22 year-old Erika Lauren personally. We have this old-fashioned notion that reality TV stars are not really radio hosts by background, trade or skill, but we’ll give her a chance. And long-time readers know we don’t entirely hate the reality TV genre. The new season of CBS’ “The Amazing Race” is almost underway, and we still hope some Pittsburgh radio station gives a show to Matt Kennedy Gould. SOCIAL MEDIA: It’s fitting that we used our Twitter account to give first word of another new job title for an Oak Tree denizen. Clear Channel has named WMMS/WAKS “Kiss FM” program director Bo Matthews as its Director of Social Media. Bo will be responsible for Twitter, Facebook and other online social media presence for the entire Clear Channel Cleveland cluster. BEACON FOLLOWUP: Some additional information about our weekend story on the death of Beacon Broadcasting owner Harold Glunt, who passed away last week at the age of 75. To most at the Beacon family, Mr. Glunt was much more than an owner and a boss, he was a friend and a second father. He was always quick with a smile, a prayer, and even a joke to make you smile. It was his wish for the radio stations to continue after his death, and that is EXACTLY what we are going to do. Some of this may be beyond the staff’s control, however. OMW hears there have been talks with a potential ownership group that wants to buy at least one of the stations, Christian/eclectic/rock/talk WEXC/107.1 Greenville PA “Indie 107.1”. The talks apparently took place, initially, while Harold Glunt was still alive. Whether this group wishes to resume the talks – with Glunt’s surviving family members – hasn’t yet been determined, and it’s not known if these potential investors would be interested in the four AMs in the Beacon chain now that Harold Glunt has passed on. We also don’t have a firm handle on the group itself, or its financial backing….or if Glunt’s heirs have any desire to continue operating his radio stations. So, with all that uncertainty, it appears the five stations will continue operating as they have…at least in the short term. AIRLESS AMERICA: Unless you were under a media rock this past week, you’re aware that as of this writing, liberal talk network Air America has gone dark. The network announced that it was filing for Chapter 7 bankruptcy and ending all programming. Air America ended live programming last week, and offered up repeats for remaining affiliates until Monday night. Unlike previous bankruptcy filings, this one was a total liquidation. This would have been a much bigger story in OMW a few years ago. But…we’re scratching our heads trying to figure out if there are any stations still running liberal talk programming in the state. We believe tiny WAIS/770 Nelsonville (near Athens) was running Ed Schultz, but Ed is not – and has never been – part of Air America. Neither has Stephanie Miller, who like Schultz is syndicated by the Dial Global folks. Both Miller and Schultz once counted at least some popularity, within the format, at Clear Channel liberal talkers in Columbus and Akron, and Schultz also ran on the company’s liberal talk station in Cincinnati. All of the stations have long since changed format to conservative talk or sports. We think there may still be a liberal talker owned by Clear Channel in the Portsmouth/Ironton area, but it may have flipped to sports while we weren’t looking. SPEAKING OF EX-AIR AMERICANS: Jerry, Jerry, Jerry…could he be getting back into political talk? No, not on the radio, but in Jerry Springer’s more natural medium, television. Score Round One for Jerry Springer. That’s my take on the “Jerry & Bill Show,” the pilot for a weekly debate show starring Springer and 700 WLW-AM’s Bill Cunningham that aired Sunday night (Jan. 10th) on WXIX-TV (Ch 19). Though the pilot aired locally in Cincinnati on Raycom-owned “Fox 19”, Kiesewetter noted that cable/satellite channel WGN America also aired the pilot, which was apparently developed for Tribune owned stations…by…oh, wait, this is too easy to guess…Tribune executives Randy Michaels and Sean Compton, both former Clear Channel (and WLW!) employees. The man who has owned a small Mahoning Valley radio group often written about here in OMW has died. 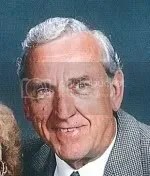 NILES – Harold F. Glunt, 75, died of cancer on Thursday evening, Jan. 21, 2010, at his home. He semi-retired from Glunt Industries in 2001 and purchased Beacon Broadcasting in Warren to focus on Christian Broadcasting in the area. Courtesy of Time Warner Cable, here are some answers for readers wondering about the Mentor-area conversion allowing more HD channels. And some more lineup changes are in the works systemwide in TWC’s massive Northeast Ohio system. The first “box swap” phase of the box exchange actually concludes today, followed by 6 other phases every 7 days. The final phase is scheduled Feb. 23. Each phase impacts approximately 1,200 customers in certain areas of Mentor. And by “box swap” “concludes” I mean the day the Motorola and General Instrument boxes in those areas will no longer work. If your area has gone through the “shutdown” you will begin receiving the new HDs. Also, if anyone emails that their box has been shut down, and they live in that area and have a MOTO or GI box, they can visit our Sales and Service Center in Mentor or Concord to exchange it. We’ll even give them a coupon book good for 6 Movies on Demand. Here’s the short answer. Everyone in the greater Mentor area will have all the HD channels by Feb. 23. Our HD offering has grown so robust, we’re moving the HD channels to the 1000 block and grouping them by category. With your new theme-based HD lineup coming in March, finding what you want to watch in HD will be faster and easier than ever. *To find your favorite Digital Cable channel in HD, you’ll just add a “1” to the Digital Channel number, or go to Channel 1001 and start surfing. *All your Free On Demand favorites are moving to the “Free 400s”. This includes Primetime On Demand with your favorite primetime shows and Kids on Demand with kids favorites such as Nickelodeon and PBS Kids Sprout. Local on Demand, your source for free local high school football, travel and news On Demand, moves to channel 411. *Movies on Demand moving to the 500s gives you instant access to hundreds of hit movies now on our leading-edge platform. Thanks to a reader tip, we now know what Raycom Media CBS affiliate WOIO/19 wants to do (at least temporarily) to fix its reception problems, particularly in the Akron area. The station has applied to the FCC for a digital replacement translator on RF channel 24, an 11 kW facility which would be located at the Akron facility which houses ION Media O&O WVPX/23 and a number of area radio outlets. AllAccess reports today that Clear Channel hot AC WMVX/106.5 and country WGAR/99.5 program director Chris Miller is out at Oak Tree. We’d heard the rumblings…that Elyria-Lorain Broadcasting’s new AAA format on WNWV/107.3 Elyria had to drop its name due to trademark issues. Sure enough, though the station occasionally tries to cleverly use the word “Boom”, its official on-air name has reverted to a simple “107.3 Cleveland”…without the explosive word directly attached. Blame another broadcaster competing with 107.3 in Cleveland, but in another market. Seems CBS is employing “Boom FM” in Seattle on the HD-2 channel of classic hits “Jack FM” KJAQ (96.5). It may be used for CBS stations in other markets, too. Of course, WNWV itself had been running the AAA/eclectic format on its own HD2 channel until late December…using that name, as far as we know. But a large company like CBS is a lot more nimble when it comes to trademark use and registration. And we’re reminded that despite getting the trademark through acquisition of another company, Clear Channel was successfully able to assert the “Kiss FM” service mark even with its newer top 40 outlets mounted long after. BOOMING FORMAT: That’s the other part of our subject header this time around. We’ve made something of a hobby tracking the rise of FM spoken word formats, including the booming sports format on the FM dial…and it’s about to happen really close to Ohio. CBS Radio in Pittsburgh has announced that on Monday, February 15, the company will debut Sports Radio “93.7 The Fan,” carrying the call letters KDKA-FM. As originally reported last Friday, January 15, the move converts CHR WBZW(B94) to 93.7 The Fan. The CHR format will merge with existing hot AC WZPT/100.7 “Star 100.7”. CBS Radio has a four station cluster in the Cleveland market, of course – alt-rock WKRK/92.3, classic rock WNCX/98.5, AC WDOK/102.1 and hot AC WQAL/104.1 “Q104”. It also has a brand new market manager, as we reported earlier…Steve Carver. Is “The Fan” coming to Cleveland? Well, let’s line up the case against it. For one, Cleveland is one of the smaller markets CBS presumably is still interested in selling. Then again, Pittsburgh is presumably on that list as well. But Pittsburgh has one thing in its CBS Radio cluster that Cleveland does not – a big, big news/talk station (the legendary KDKA/1020). Even when CBS was first talking about exiting smaller markets, there were rumors that they would hang onto KDKA Radio for one reason – synergy with its TV holdings in Pittsburgh (KDKA-TV/2 and sister CW affiliate WNPA/19). CBS has no news/talk stations in Northeast Ohio, of course, and no TV holdings. CBS affiliate WOIO/19 is owned by Raycom Media, and CW affiliate WBNX/55 is locally owned.